Gobble Gobble! 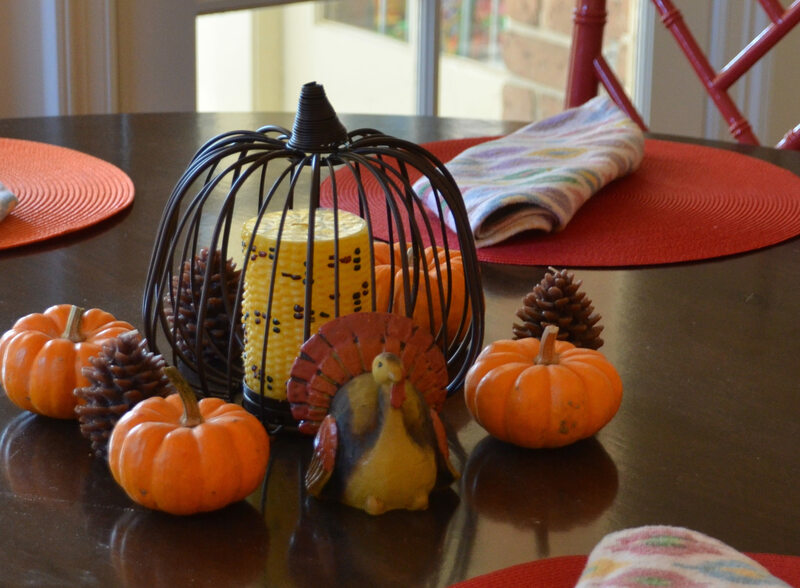 Thanksgiving might be my favorite day of the year – it means the holiday season has officially begun. For me, Thanksgiving has always been a relaxed, no stress day to spend time with family and friends. Of course, the big turkey day might provide a bit more anxiety for those actually preparing the 20 course meal. My family has been spoiled and we’ve never been asked to help cook or bake for this delicious day. This year, I wanted to finally experience some of the Hallmark movie moments of cooking the turkey, so we decided to host a Friendsgiving get together at our house. As the hosts, we cooked the turkey and gravy and a few other make-ahead dishes. Luckily, my husband had the insight to suggest that we make the dinner pot luck style instead of trying to tackle stuffing, cranberry sauce, pies galore etc. by ourselves. My adorable mother in-law helped me prepare the turkey, and thank goodness she did. 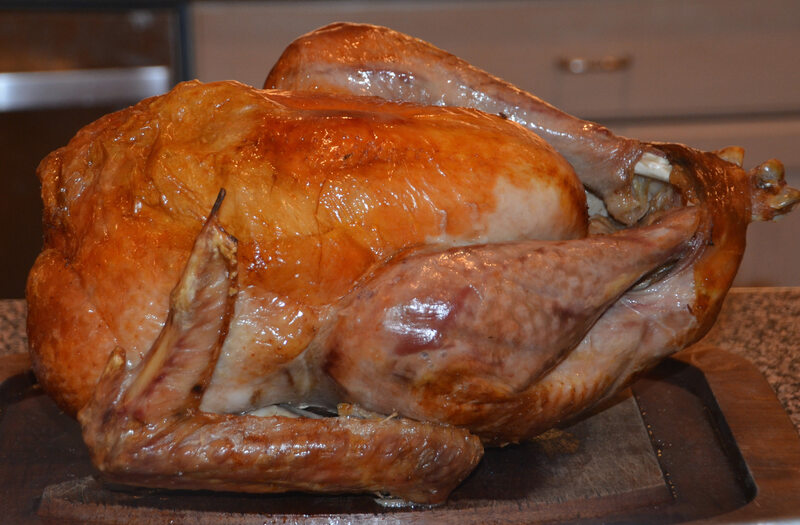 Carolyn made this overwhelming endeavor seem effortless, and the turkey turned out perfectly! Here’s the beautiful Roasted Brined Turkey, recipe from Cook’s Illustrated. This was accompanied by this flavorful make-ahead Turkey Gravy. 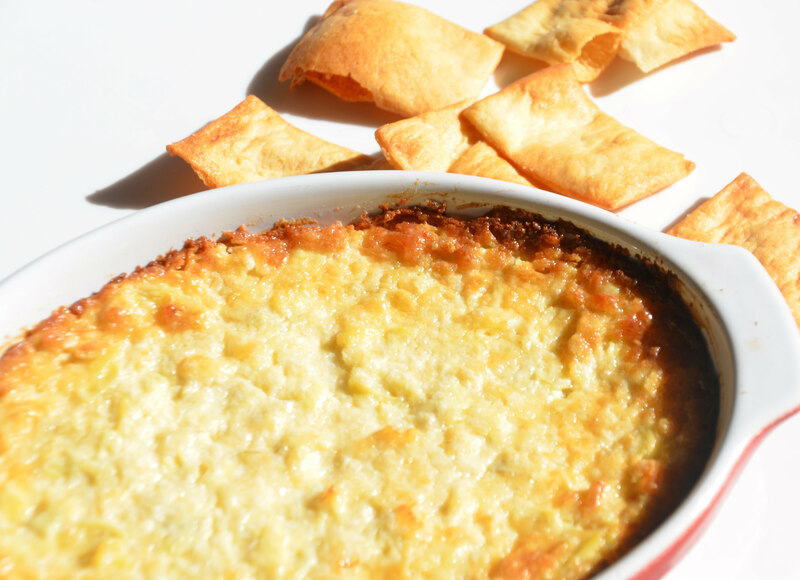 I wanted to make an easy appetizer for the party, so I whipped up this Three Cheese Artichoke Cheese Dip. Everyone always raves about this simple dish. I also made this Warm Butternut Squash Salad. It is one of Ina Garten’s recipes, and it is a breeze to make. 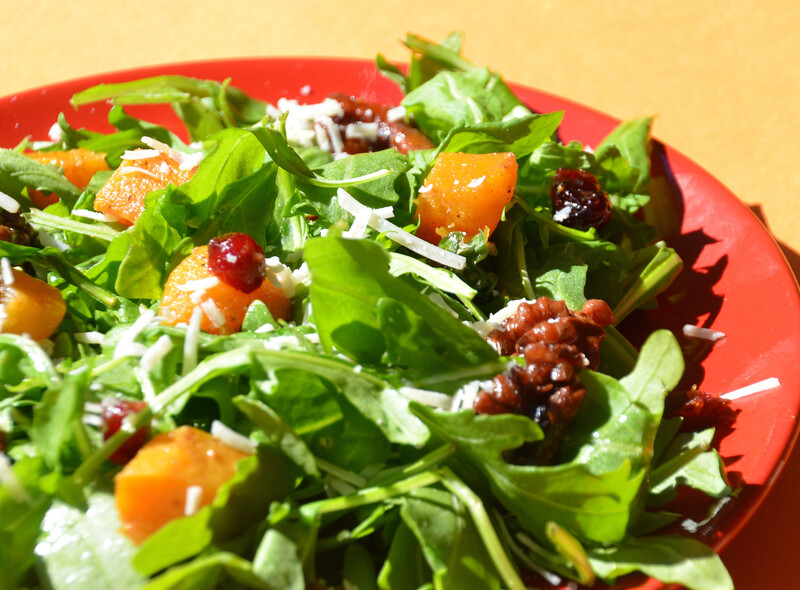 When preparing this salad for this get together, I added extra arugula. 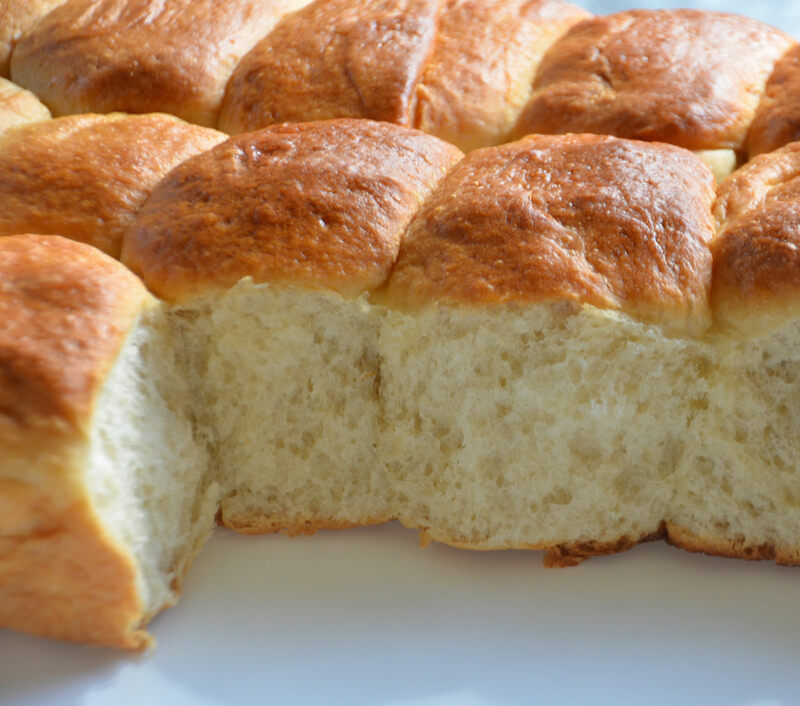 I baked Fluffy Make-Ahead Dinner Rolls as well, and they were pretty tasty. They would have been even better if I made them the day of the party. Besides that, we opened the wine and the festivities began. It was such a fun night full of unbelievable food.